When your vehicle has seen its last day and is no longer operational, don't let it take up space and become an eyesore. Get rid of that nuisance by calling Recovery 1 Towing LLC to come and remove it from your property. We have careful drivers that provide dependable junk car removal services in Upper Marlboro, MD. Our tow trucks always arrive promptly, and we maintain very affordable rates. 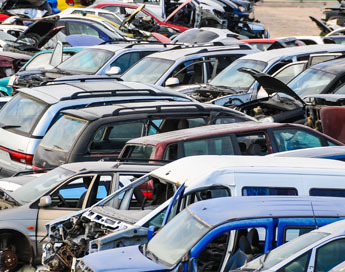 If your vehicle is beyond repair, we can provide scrap car removal services to take it to the nearest junk yard. Do you have an old or wrecked car that you want remove? Our towing company provides expedient removal services for junk cars. Use our convenient service to donate your junk car, and we will pick it up at your earliest convenience. Our junk car removal services are fast and reliable. There is no hassle and no hidden costs. You can donate a junk car to charity in any condition, and we will pick it up. Let us know if you are interested in donating your vehicle, and we will connect you with the proper outlet. Our company is committed to helping people get rid of the junk they don't need and bringing it to those who can actually use it. We make junk car removal easy and affordable for everyone, no matter what type of vehicle is being removed or what condition it is in. Scrap your old vehicle and get something out of it. If you own a vehicle that has become dilapidated from age we can help. The longer your old, unused car sits on your property, the less it will be worth when the time finally comes to scrap it. Our towing company is standing by to tow it away to any location to maximize the profits you get from a scrap yard. We understand that most scrap cars are in poor condition and vulnerable when being moved from place to place. That is why you can rest easy knowing that our scrap car removal service is the safest you can hire. We have highly effective tow trucks that are equipped to transport vehicles of every shape, size, and condition without damaging them at all. Combine that with our skilled and experienced drivers, and you can feel confident that your junk car arrives at its destination fully intact. Contact us today with any questions about our junk car removal services. We proudly serve Upper Marlboro, Forestville, Clinton, Lothian, and Capitol Heights, MD, as well as the surrounding areas.